Certified Toronto baby proofing experts since 1994. Advanced Certified Professional Babyproofer, Yehudah Franken has installed over 4,500 gates and 14,000 magnet locks since 1994. Yehudah Franken has owned and operated Babyproofers since 1994. He was inspired with the idea of babyproofing homes after his daughter was born in 1992. 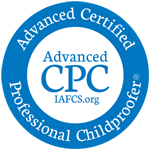 The ADVANCED CERTIFIED PROFESSIONAL CHILDPROOFER designation indicates that YEHUDAH FRANKEN has met the exacting standards set by the International Association for Child Safety as to professional education, knowledge and experience in the field of child safety issues, ethics, business practices, installation of child safety products, performance of child safety consulting and has demonstrated knowledge of child safety issues. With over 20 years of experience Babyproofers Ltd. can provide you with the peace of mind that everything is mounted correctly. We’ve installed over 5,000 baby gates, 15,000 magnetic cupboard locks and a variety of child safety products. We are Advanced Certified and keep ourselves up to date on all the latest child safety products - so we can provide solutions to make your home as baby proof as possible. Falls, Poisoning, Burns and Drowning in and around the home are the leading causes of PREVENTABLE injuries for babies and toddlers. No matter what age your child is, it is never too early or too late to have us survey your home. Copyright © Babyproofers Ltd. All rights reserved. Designed by: Christopher Chong Productions Inc. SEO By: Spider Choice Inc.